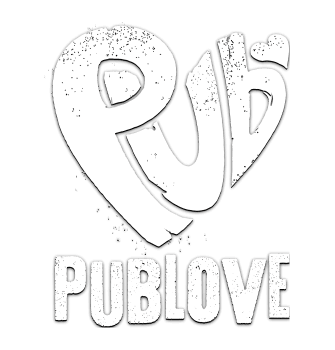 Raise a toast to the launch of Pub Love’s 6ixth destination, The Rose & Crown in Borough, opening end of May ’19 and get your 6th drink free! Buy 5 of our #6 drinks from the backwall bar and get your 6ixth #6 drink FREE! That’s a lot of sixes to wrap your mouth around! 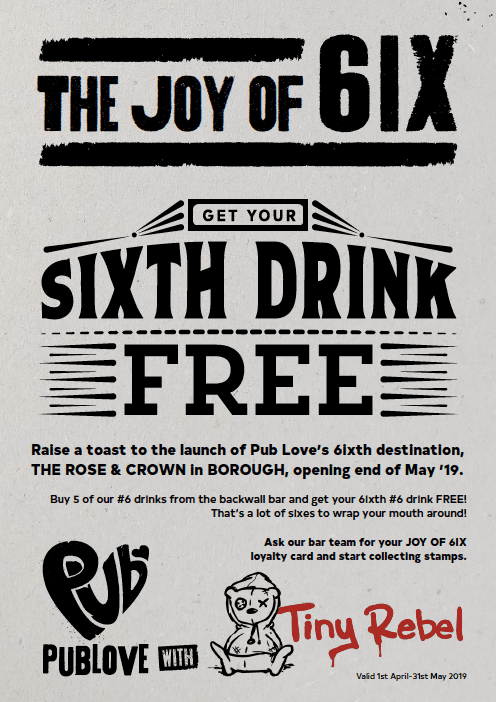 Ask our bar team for your JOY OF 6IX loyalty card and start collecting stamps.